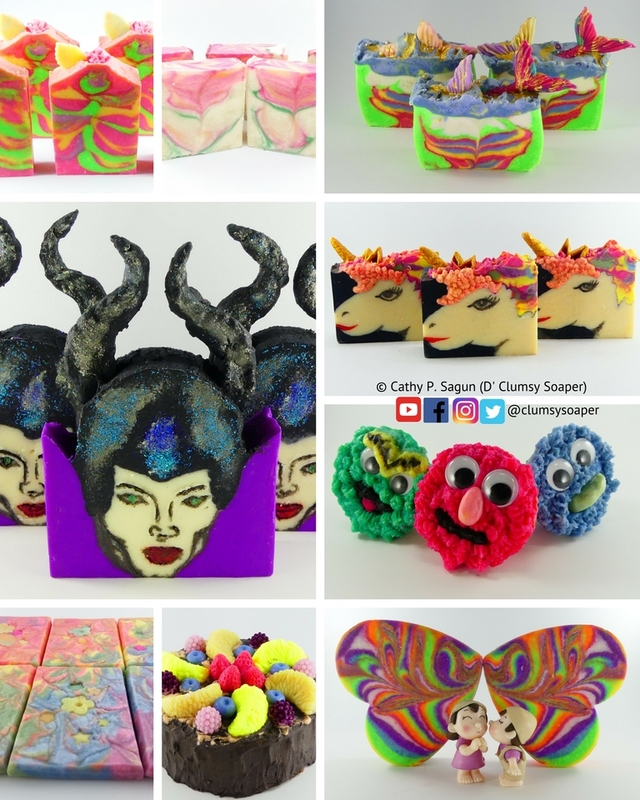 Cathy, D' Clumsy Soaper had stumbled across her passion for making soap at the young age of 13. She followed her passion for science and creating, and with the assistance of her parents, she proudly graduated with a Degree in Chemistry in 2001. She took and passed the Chemistry licensure board examinations and her career began in the Philippines where she explored various Laboratory Chemist positions for 6 years under the Foods/Chemical/Testing Services Industries – ultimately landing her overseas in 2007, working as a Research & Development Chemist in the Biotech/Pharma/Medical Device industries. Cathy believes in life long learning. Despite her busy work schedule, she took night classes and earned a Specialist Diploma in Accounting and Finance in 2010. During her free time, she had spent many weekends making soaps as a hobby, which deepened her passion. She always had a unique flair, dropping and breaking things, which inspired her to create D’Clumsy Soaper Youtube Channel. 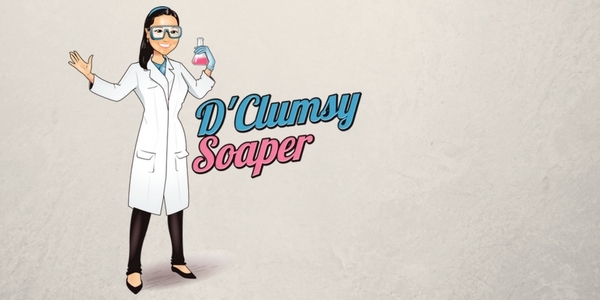 To reduce the amount of routine calculations and bring more ease into her process – she transferred her skills from chemistry to design a soap lye calculator - My SoapCalc™. This had saved her time, effort and money in making initial decisions for her soap formulas. Although she may drop the odd spatula, she has confidence that her calculator is precise and consistent for her end products. Cathy added convenient features and a number of added functions to ease the process of soap recipe generations and calculations. She wishes to help as many soap makers as she can, helping create better recipes & providing My Soap Calc™ to do so. She is continuing to grow the database for your benefit, so if you see any oils that are not listed – let her know. Any questions are welcome and enjoy creating accurate recipes with My Soap Calc™. 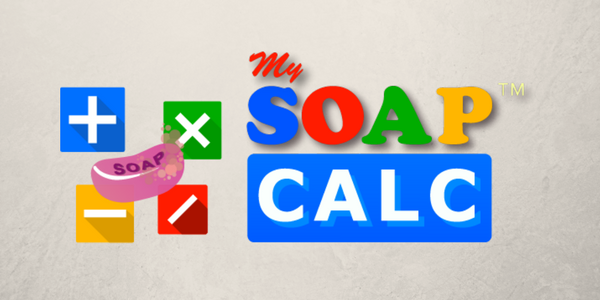 My Soap Calc™ is a web-based soap lye calculator that helps to create handmade soap recipes for home soap making. This site is a soap making online resource and platform for informal collective learning & fun social community. Here you will learn on how to make soap (bar soap, liquid soap, dual-lye soap, etc). Whether your passion is on natural soap, artisan soap, melt & pour soap, as long as it is soap and bath & body products, you came to the right place. Registered users can search and bookmark soap recipes and share photos of their handcrafted creations in their own profile page. Post questions/topics in the forums. Join groups to publicly or privately discuss about soap making tips, tricks and a lot more. You can add soap sisters and bubble brothers as friends and start challenging yourself with our fun task, quest, missions and challenges. You start as a Novice Soap Maker and through learning and group activities you can work your way up to become a Legendary Soap Artisan . LEARN. CREATE. SHARE. INSPIRE. SOCIALIZE. Accurate and easy to use soap lye calculator interface. Brief soap recipe output for reference and formulation record printing. Comprehensive and clear summaries for soap quality pre-assessment. Big hugs and a million thanks to my soap sisters Elizabeth White, Andrea Convery and her lovely daughter Cianna Fayant, Lhea O'Dell, Looey Loo and JiaWun Phng for helping me throughout the building of My Soap Calc™ website. I also like to acknowledge my coding and database buddies, Osama Hassan Toma and Ahmed Dhafer and would like to thank so many angels and kind souls for sharing their work for creative commons. Last but not the least, biggest thanks and much love to my family and friends for the support and guidance throughout this journey.